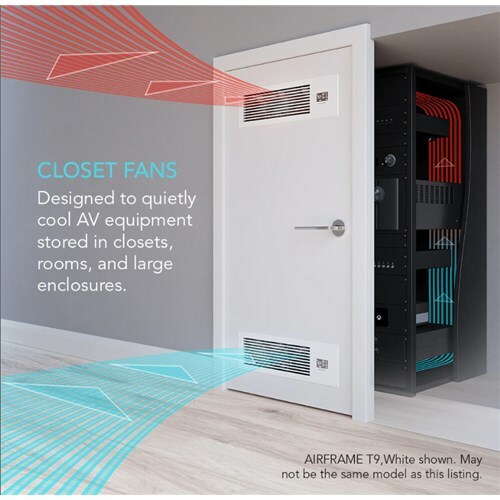 The AIRFRAME series is designed to intelligently cool AV closets, rooms, and large enclosures. 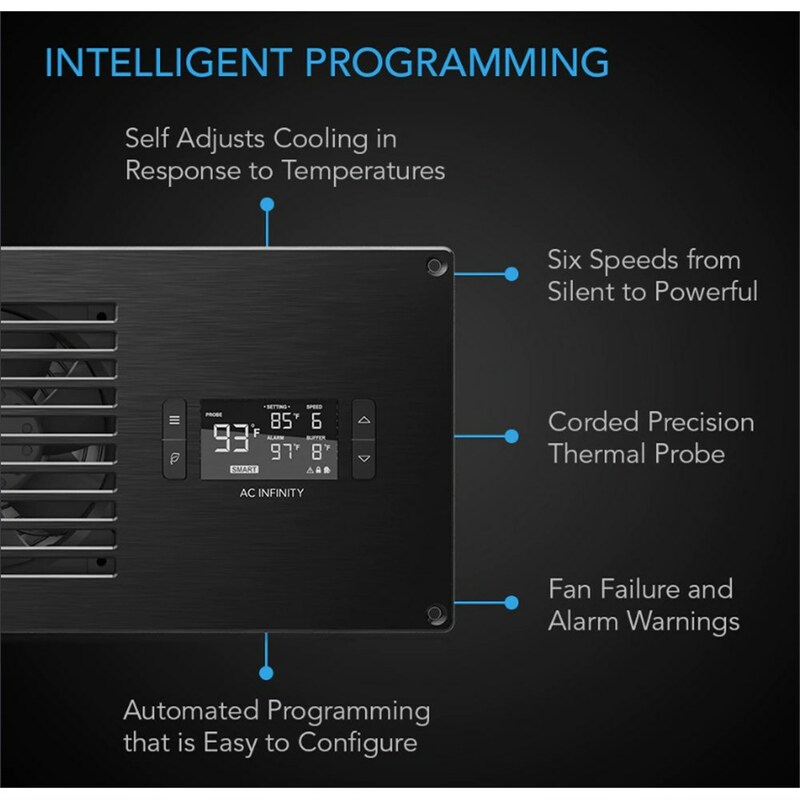 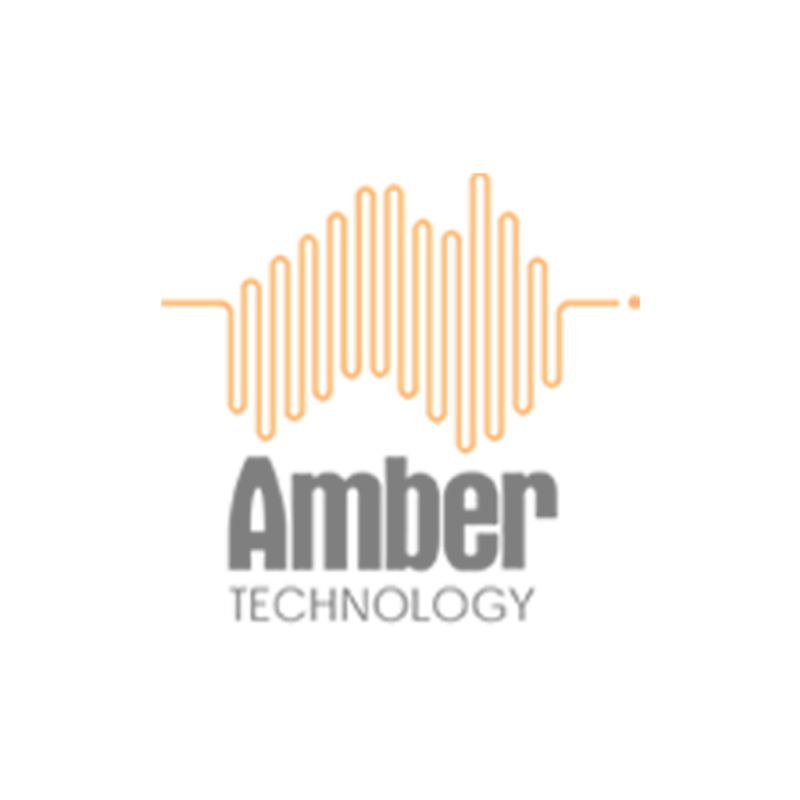 Featuring thermal control and high airflow fans, the system efficiently cools rooms holding various audio video components and equipment. 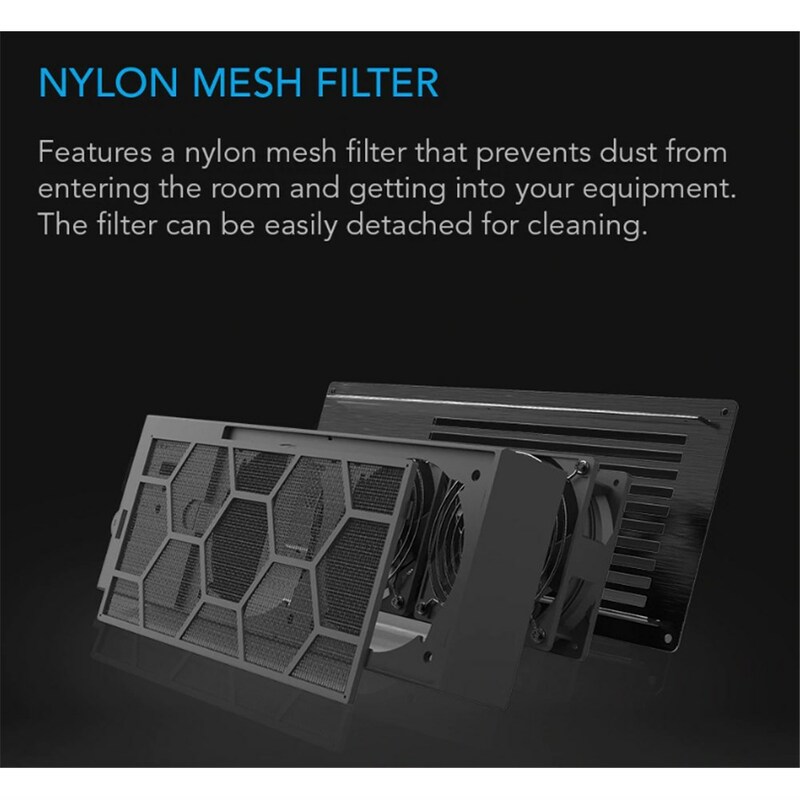 Each unit includes a nylon-mesh filter which can prevent dust particles from entering the room and getting into your equipment. 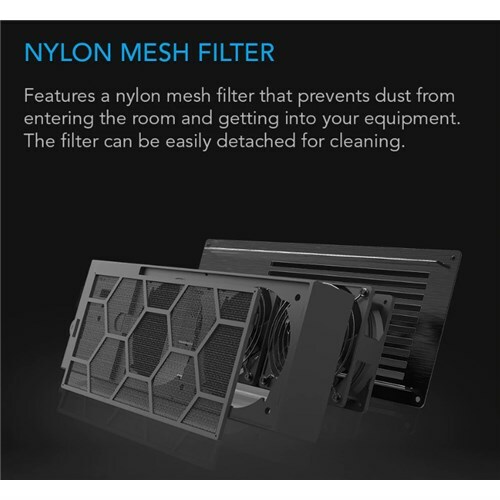 This filter can be easily detached for cleaning. 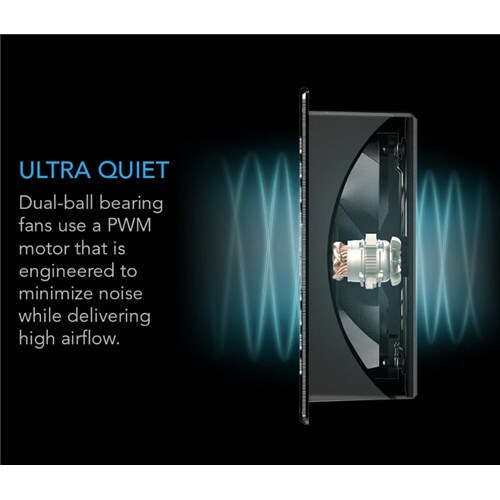 Each fan is engineered to maximize airflow while keeping noise levels to a minimum. 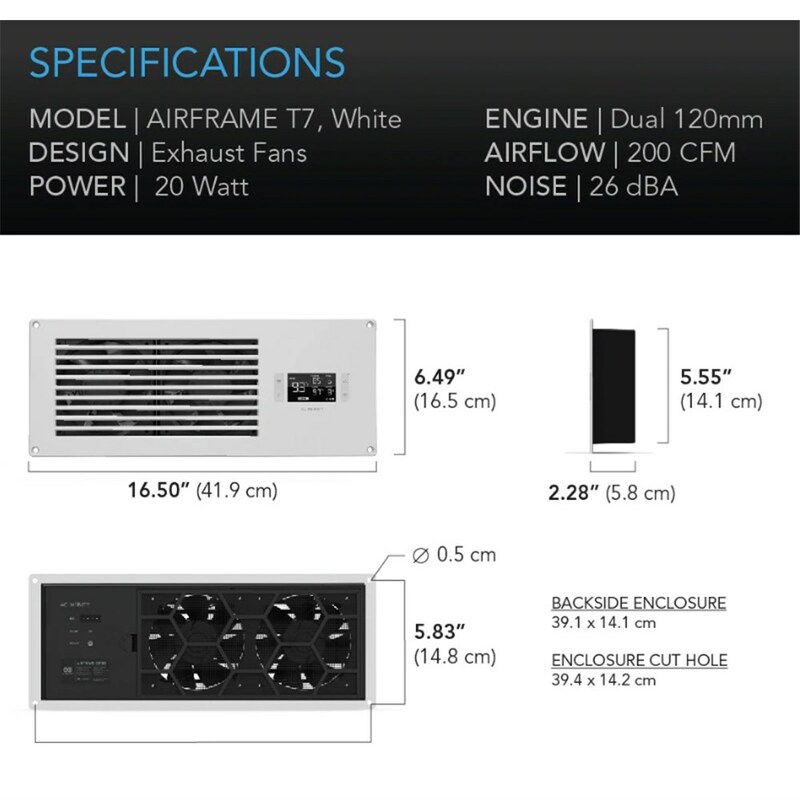 Features long life dual ball bearings rated at 67,000 hours. 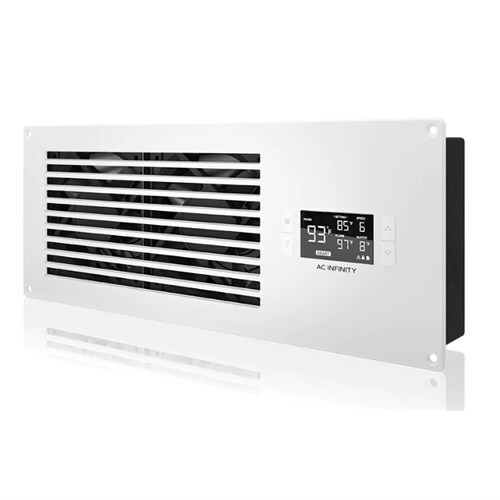 The frame is constructed with premium aluminum alloy, machined, and painted white for a professional and detailed appearance. Includes all necessary hardware to easily mount the unit onto a door or wall, and power it through an outlet.